When talking with the Plant Interscapes team, they all have a hard time believing it’s been 35 years since they opened their doors. Especially Mike Senneff, the CEO and founder; he still remembers his first advertisement. He published an invitation in the local phone book: come see our beautiful greenhouses! But he didn’t have any…yet. Channeling Field of Dreams (but five years before its release), Mike believed that “if they came to see them, he’d build them!” And he did. Now, Plant Interscapes is busting out of their greenhouses at the seams. They are the interior plantscape leaders in five major markets in Texas: Dallas/Fort Worth, Austin, San Antonio, Houston and Corpus Christi with over 100 employees servicing 3,000+ accounts. As Mike, Josh, Jon (his sons), and the rest of the Plant Interscapes leadership team reflected on where they are now, their future goals, and how to best serve their clients, they kept coming back to their GROWTH. “Having grown to become one of the top ten interiorscape businesses in the nation, we knew we had expanded beyond our original purpose. It was time to reflect on our true identity,” said Mike. After hiring a local branding expert, the team embarked on a six-month rebranding process with the goal of aligning their mission, vision, values, customer experience AND employee experience. “In order to provide a consistent experience as our organization grew, both internally and externally, we knew it would require a shift in our brand,” said Josh Senneff. Their new mission of “creating environments where people thrive” reflects their new and expanding lines of business, and their central message of “enhancing the built environment” encompasses many new and exciting choices for their customers. 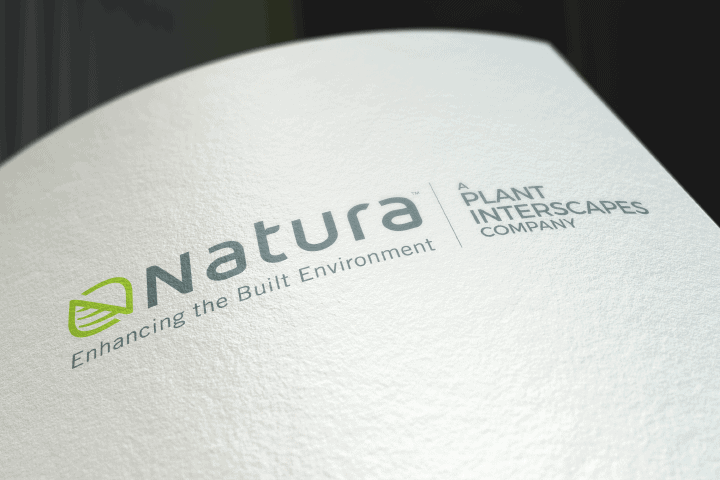 Plant Interscapes will now take the name Natura. Natura represents an exciting and passionate culture where People take Ownership of their work. They continue to Learn and grow, provide Quality results, and do it all for the glory of God, through their Faith.